Baker Mayfield was named Rookie of the Year on Monday, but not by the NFL. Mayfield received the honors from the Pro Football Writers of America. The actual award from the NFL still has yet to be handed out. 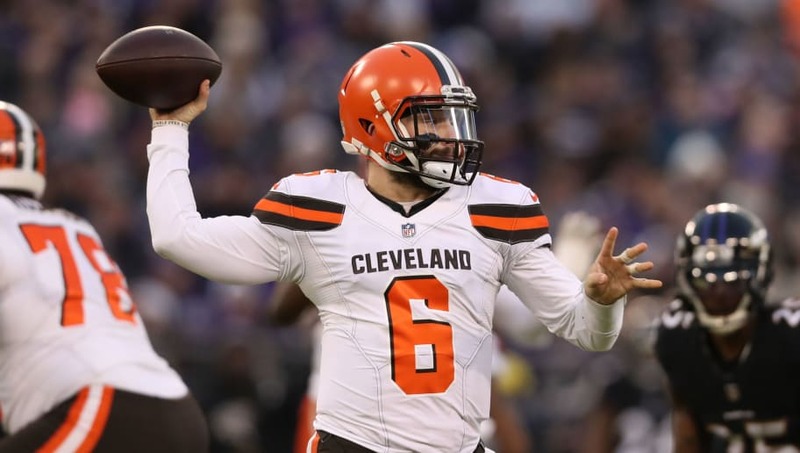 The real award is a two-man race and has been for the majority of the season, especially after former Browns head coach Hue Jackson was fired and Mayfield flipped a switch into a great quarterback under Freddie Kitchens. QB @bakermayfield has been voted Rookie of the Year by the @PFWAwriters! The official NFL Rookie of the Year Award will be won by either Mayfield or New York Giants rookie running back Saquon Barkley. Bakley put up monster numbers this season. From a statistical standpoint, he ranked as the second-best running back in fantasy football this season. Arguments can surely be made for both players to take home the trophy. Barkley probably had the better statistical season, while Mayfield meant more to his team. Although, does winning this award from the PFWA give Mayfield an edge on winning the actual Rookie of the Year Award? That is to be determined, but it surely doesn't hurt. Either way you look at it, both are deserving for different reasons and it will all be determined by how the voters perceive the award. Will they favor Barkley's numbers or Mayfield's impact?